Homeschooling is as old as the human race; in fact, some would call it "education, God’s way." Scripture admonishes parents to teach their children morally (Deuteronomy 11:19), spiritually (Psalm 78:4), and practically (1 Timothy 3:4). In fact, most parents home educate without even thinking about it by instructing their children to reach significant milestones of development such as walking and speaking, or, for older children, cleaning their rooms or helping with household chores. According to the Worldwide Guide to Homeschooling, home education is increasing at a rate of 7 to 15 percent per year (Brian D. Ray, Ph.D.), making it the fastest growing form of education in the world. But is homeschooling the right choice for everyone? Is it really God's preference for education? Twenty-six percent of new homeschool families cite a "negative school environment" as their most important reason for homeschooling— and to me, a homeschool veteran and Certified Educational Planner, this justification is alarming. In my opinion, home education should not be a last resort; rather, it should be a first choice. 1. Can you make homeschooling a top priority every day in terms of time and energy, immediately following your relationship with God and your connection with your spouse? This may mean not answering the phone or checking social media until school is finished, prioritizing lesson planning over socializing, and being okay with a messy house until school is finished. 2. Are both parents "all in"? 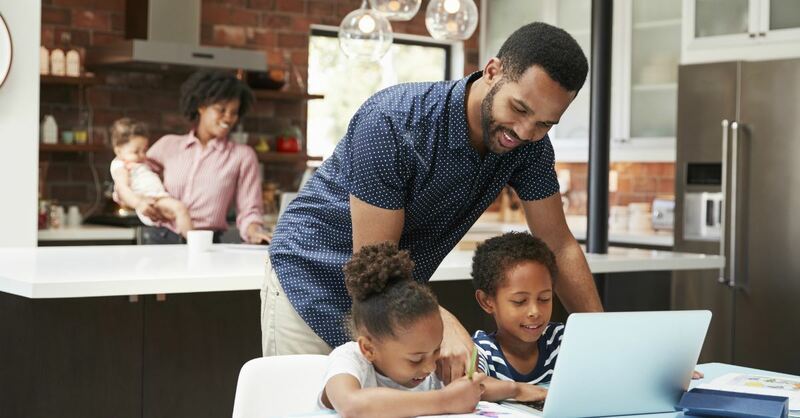 Do both parents believe that home education is the best option for your entire family—not just for the children, but also for the parents? How will parents participate? Will you share the teaching responsibilities and, if not, do you agree that the teaching responsibilities of one parent are as important as the professional responsibilities of the other? 3. Is your child ready to be home educated? What are the expectations? 4. Do you commit to giving your child a well-rounded education and, if you are not proficient in teaching a particular subject, to finding someone (co-ops, online resources, spouse) who is? 5. Do you and your child have mutual respect? Can he accept your correction, and can you dispense it in a manner that still respects his individual learning style or personality? 6. Are you willing to be humbled by homeschooling? You will make mistakes. When you spend most of every day together, you may get frustrated with your student. When that happens, will you be able to say, "I was wrong. Please forgive me"? 7. Are you willing to expose your child to various methodologies and philosophies within home education? As his educator, you will also certainly influence your child’s worldview. Are you willing to prepare yourself with Biblical answers? 8. Are you being called "to" homeschool, or are you being called "away" from traditional school? Do you view home education as the proper method of education or simply as an educational alternative? Initially, even if you see homeschool as a "last resort," remember, it’s not where you start; it’s where you finish. God will equip you as you seek His direction. 9. Do you have a support group of homeschoolers in your area—like-minded families with whom you can learn and socialize? Do you have access to other homeschool parents who can offer you the benefit of their experience? 10. How will you re-evaluate your decision to home educate each year? After answering these questions honestly, while seeking wisdom from God, you will know what He is calling you to do. For our family, home education turned out to be immensely successful—although, in truth, I never expected it to be. The success was not due to my stellar teaching abilities, communication, or creativity; rather, the success was due to my "position." In twenty years of home education, I never saw myself as the teacher. I was simply the assistant. I figured if God called me to home educate, He would equip me—and He did. For me, homeschooling was simply a matter of finding those things that "...God hath before ordained that we should walk in them" (Ephesians 2:10 KJV). I took God at His Word, executed His instructions, and implemented what—for our family—was "education, God’s way": homeschooling. Copyright 2019, The Old Schoolhouse®. Used with permission. All rights reserved by the Author. Originally appeared in the Spring 2019 issue of The Old Schoolhouse® Magazine, the trade publication for homeschool moms. Read The Old Schoolhouse® Magazine free at www.TOSMagazine.com, or download the free reader apps at www.TOSApps.com for mobile devices. Read the STORY of The Old Schoolhouse® Magazine and how it came to be. About Glenda After homeschooling for 20 years, Glenda combined her love of education with her expertise in marketing and management to create College Advising and Planning Services. As one of only 250 Certified Educational Planners worldwide, Glenda provides faith-based educational consulting as she guides families through the college planning process. Glenda is the author of the junior and senior editions of The Christian’s Guide to College Admissions and Desperate for God, a 30-day devotional for Christians in crisis. Learn more at collegeadvisingandplanning.com.